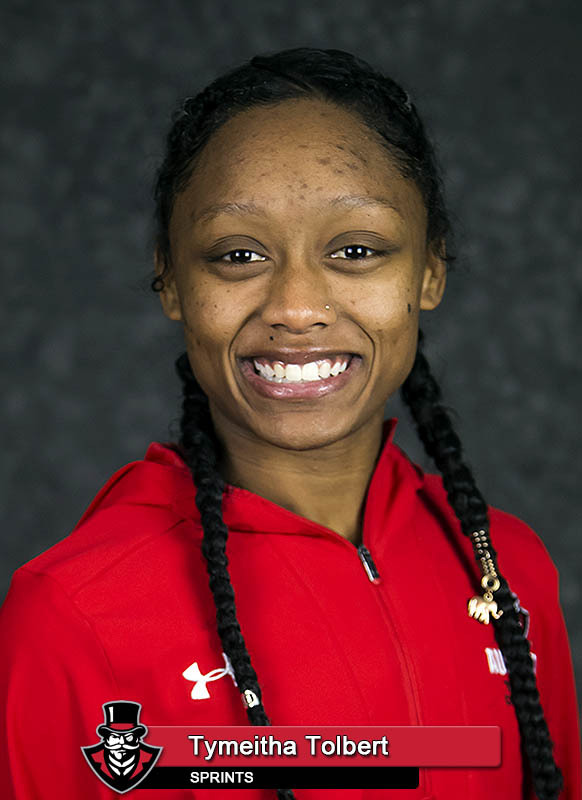 Charleston, IL – Austin Peay State University track and field got out to a strong start at the 2018 Ohio Valley Conference Indoor Track and Field Championships, hosted by Eastern Illinois at Lantz Fieldhouse. The Govs sit in fifth, with 26 points, with much still to be decided on Saturday. Eastern Kentucky leads the way at 51 points, with Tennessee State (40), Tennessee Tech (35), Southeast Missouri (31) and the Govs rounding out the top-five. Saturday’s action begins 11 a.m. in Charleston. Day One for Austin Peay at the last few OVC Championships has been a big points-earner, and that’s primarily due to the talent Molnar has cultivated in the pole vault. Friday was no different, as the Governors compiled 25 of their 26 Day One points via four top-flight competitors. 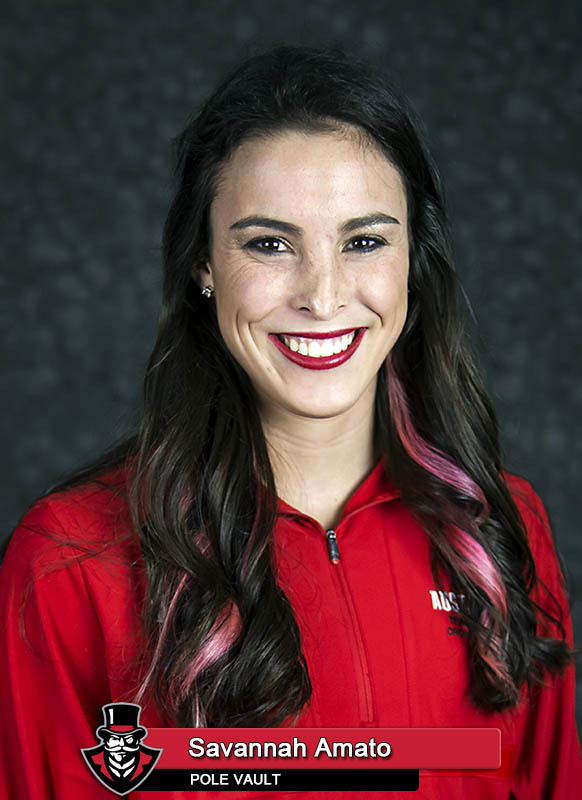 Junior Savannah Amato reeled in her fourth consecutive gold medal with a 4.05m (13-3.50) height, easily clearing 3.80m and 3.90m on consecutive attempts to secure gold, then achieving 4.05m on the last of three chances at the height. She narrowly missed on three attempts at 4.28m, which would’ve been a championship record and put her in excellent position for an NCAA Indoor appearance. Junior Dascha Hix picked up a silver medal with a 3.80m (12-5.50) height, the fifth overall medal for the 2016 Indoor champion. Senior Gretchen Rosch secured crucial points with a fourth-place finish in the event, hitting 3.50m (11-5.75), while freshman Morgan Bradley‘s 3.35m (10-11.75) brought in two points in her first appearance at the conference championships. Saturday is set up to be a huge day for Austin Peay’s sprint group, with multiple Govs set for competition in the finals of the 60m and 400m events, plus two more in the short hurdles. Sophomore and reigning OVC Indoor Track Athlete of the Week Tymeitha Tolbert has her eye on the medal stand after qualifying fourth in the 60m dash with a school-record 7.57 mark; she equaled sophomore Diamond Battle‘s 7.57 from last year’s Indoor Championships preliminaries, and will be joined in the finals by Battle herself, who qualified sixth with a 7.73 mark. Sophomore Amelia Thiesing and freshman Sabrina Richman will carry the standard for the Govs in the 400m, qualifying seventh (58.09) and eighth (58.10), respectively, with Richman winning Heat One. The last time the Govs put two in the finals of the 400m was 2016, when the duo of Breigh Jones and Terri Morris won silver and bronze, respectively. Two freshmen will look for hurdles glory in Saturday’s 60m hurdle finals; Lennex Walker qualified third with an 8.68 mark, while Denia Hill-Tate‘s personal-best 8.94 put her seventh. “I thought our hurdles crew did really well,” Molnar said. “Everybody had or was close to a personal-best. After the pentathlon, I was worried Lennex wouldn’t even be able to hurdle. For her to come back and get in the finals was impressive. Walker also represented the Govs in the pentathlon, placing eighth to pick up a crucial point. She got the event started on the right foot with a victory in the 60m hurdles, dusting the field with an 8.62 mark to win Section Four, earning 991 of her aggregate 2,947-point score. She also was fifth in the long jump in the event for an additional 660 points.